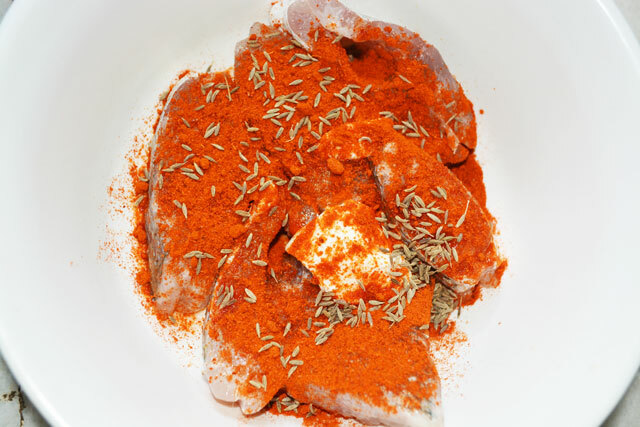 I have tried several combinations of ingredients for fish fry and liked this combination of ingredients more than all. Since now I am in India for vacation, I have no time to post recipes, because my toddler sticks to me always. Now I got sometime for this recipe to post. Fish is my favorite seafood. 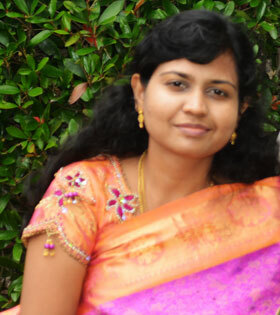 I am in my mom's home while doing this one. 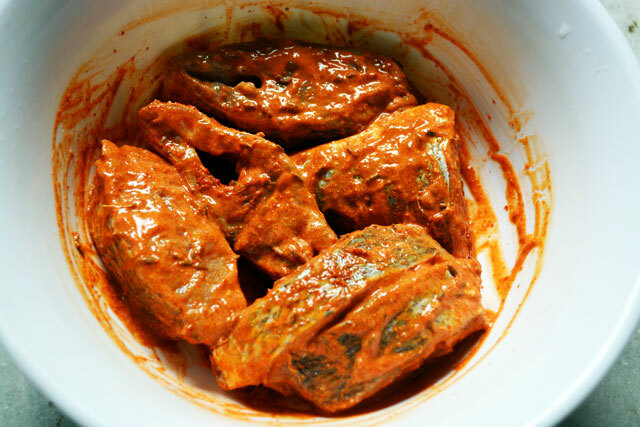 We have vilameen which is a variety of fish we have it here in Tuticorin. It's not available in Chennai. 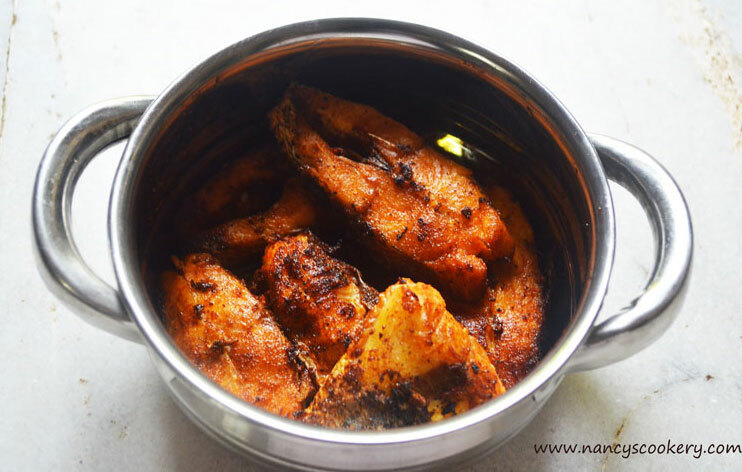 Everyone here likes this variety fish and so my fish fry is using this vilameen. Use a favorite fish of yours for fish fry. I like red snapper fish for fish fry because of it's peculiar taste. Fish fry posted here is a deep fried one. You can fry it in tawa too with less oil, if you are concerned about diet. Fish - 6 medium pc. Cut and clean the fish into pieces. 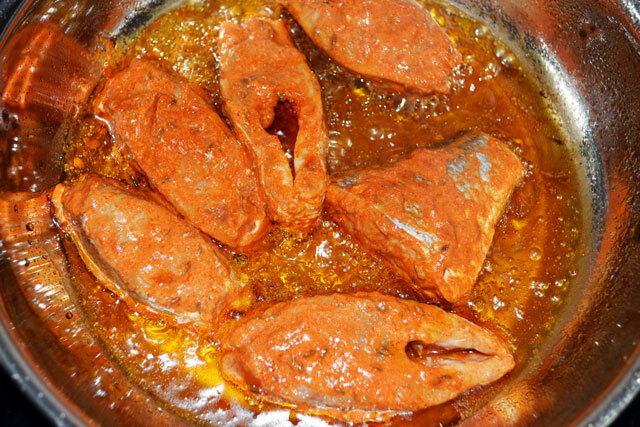 Marinate the fish with cumin, lemon juice, curd, salt and chilly powder for 30 minutes. 15 minutes is enough for thin slices. 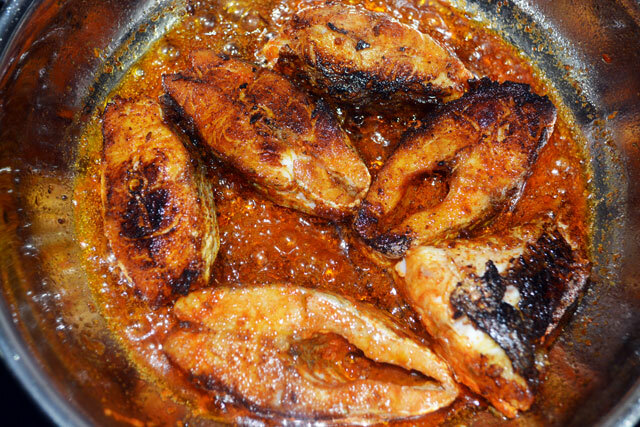 Heat oil in a pan with enough oil for frying, once the oil becomes hot, add fish pieces. Let it be there for 8 to 10 mins until the bottom side is fried and then flip it to the other side. Fry till the fish pieces are cooked. Remove from heat and serve hot. Cut and clean the fish pieces. 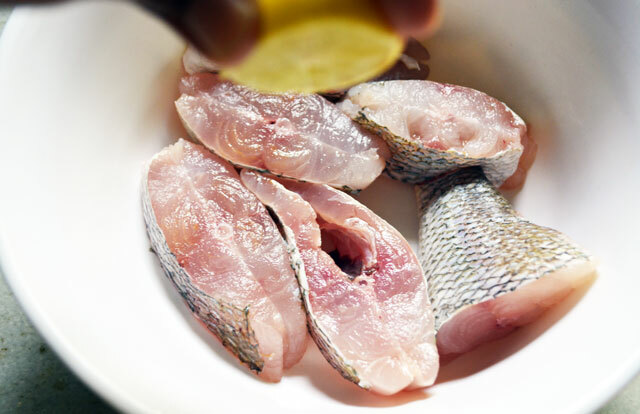 Add lemon juice to the fish for great tangy taste. Then add curd to the fish bowl. 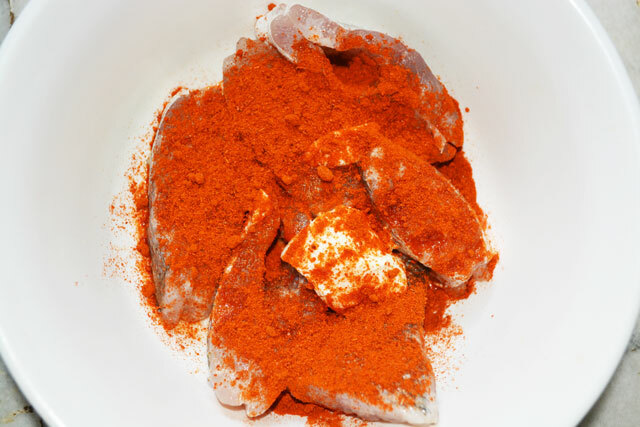 Add salt and chilly powder to the above fish mixture. Throw in the whole cumin for a crispy cumin after fried. Mix them so that all ingredients get coated well with fish. I mixed it with hand.So be careful not to touch/scratch your eyes or nose with your hand. 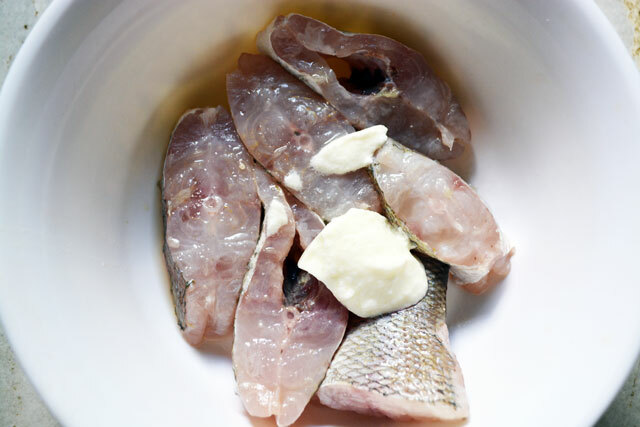 You can prepare the mixture alone in a bowl and coat the mixture to the fish pieces separately. Mariante it for 15 to 30 minutes. 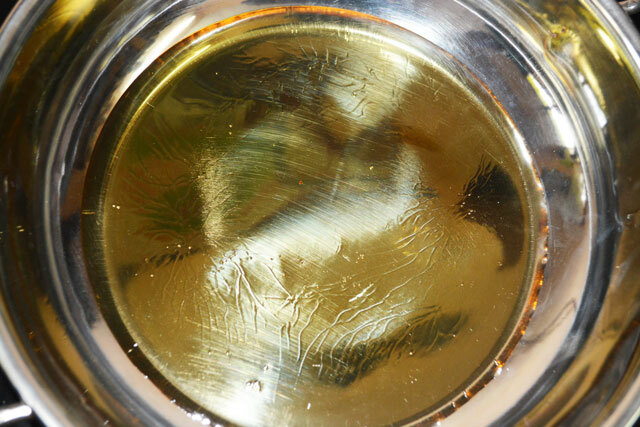 Heat oil in a pan with enough oil for deep frying. The oil has now become hot. Add the fish pieces now in medium to high flame. Let the fish pieces be there until the bottom side of the fish is fried and cooked. It takes about 5 to 10 minutes. Now flip the fish pieces to the other side with ladle. It takes another 8 to 10 minutes to cook. 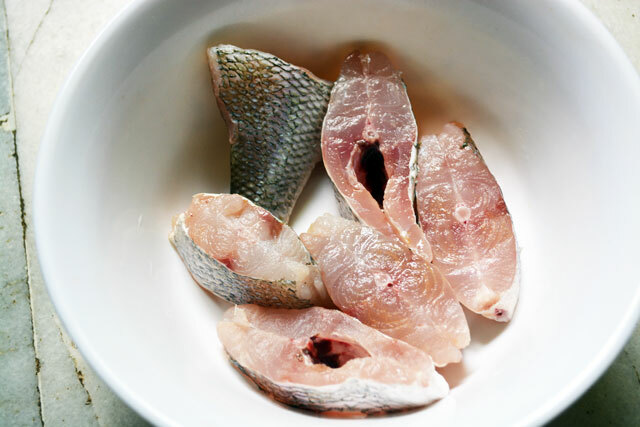 Once the other side is also cooked, remove the fish pieces to bowl/plate and serve hot. Adding whole cumin becomes fried while frying and gives a good taste. Lemon gives the super tangy taste. Adding curd becomes a layer in the pan while frying. You can also add just a tsp. of curd. 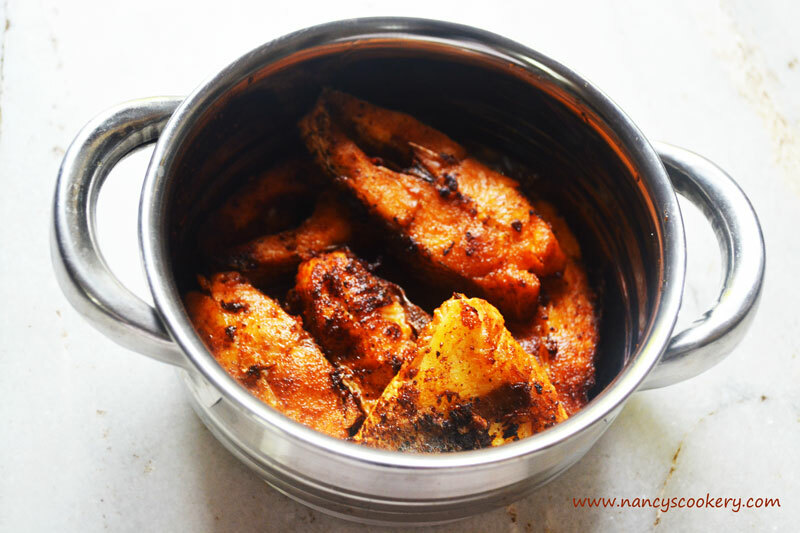 Wow Tasty Fish Fry Recipe,it is delectable and inviting me to eat can't wait for more time. will try it today, Thank you for sharing.